Hello, Jonathan. How are you doing, Jonathan? Do you want to do something fun, Jonathan? I think it would be really fun to do some sort of Jonathan-esque task. Do you like being called Jonathan, Jonathan? I'd certainly hope you would, Jonathan, because that is definitely your name, Jonathan. You know, strange story Jonathan, I actually know several people named Jonathan. Isn't that quite strange, Jonathan? You bet it is, Jonathan! Ohhhhh, Jonathan, you're so silly, just like I'd expect a Jonathan to be—all Jonathany. Okay Jonathans, or as we'd both like to refer to you, “Group A-ers,” you probably were put off by that opening statement. The constant repetition of your name probably freaked you out a little bit, didn't it, Jonathan? Errr, I mean, Group A? I rest my case. Now Group B-ers, or “Non-Jonathans,” please copy this entire post into Microsoft Word and do a “Replace All” to turn all “Jonathans” into whatever your name might be. There are 31 of them. Go ahead and reread the previous paragraphs. Pretty scary, isn't it, Jonathan? There's a perfect rationale as to why using someone's name is so bizarre and weird. Because nobody ever actually uses people's names. It's much easier and more direct to use a pronoun and make eye contact. 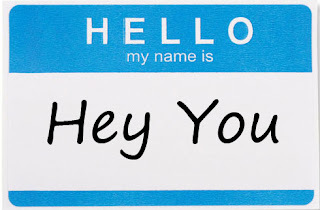 Just think, in your daily life (“The Life of Jonathan”), how often do you actually say your friends' names, your coworkers' names, your sexual partners' or families' names. Not that often. Names are weird. Especially Jonathan. You see Jonathan, when you're talking to someone, you might let out a “You,” or a “Hey you, it's Jonathan” or a “You, hey you, it's Jonathan, and you're on fire,” but you'll note, at no point in that statement did you say “Jonathan's friends name.” Even in these extreme circumstances, pronouns work much better than people's actual names. By being unspecific like this, it actually results in specificity. Don't get me wrong, I'm not proposing some sort of communistic program where everyone has the same name. Believe me, Comrade 889, I wouldn't do something like that to you! 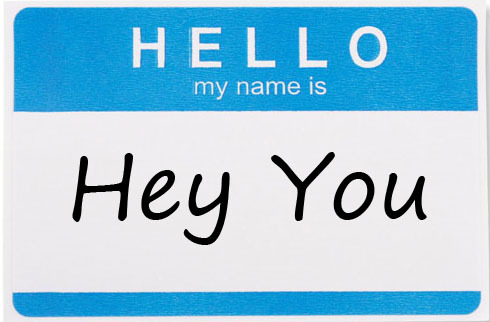 Really, pronouns sound less weird than names, because they are so common. “You” is the eighth most commonly used word in the English language. “He,” “his,” “they” and “I” are all in the top 20. Nowhere in the top 100 is there a “Jonathan.” There's not even a “Aiden” or “Sophia” in the top 100, and those are the most common boys and girls names of 2010. Because these pronouns are parts of speech, they flow better in speech. They come out less jilted and just sound better. Plus, really... “Aiden”... really? Jonathan, I want you to get out there, refer to people indirectly and truly make their day.